Are you feeling a bit bloated & blah after the holidays? Join the club! If you are interested in giving your systems a clean sweep & getting a jump-start on your health & fitness goals for the New Year, a 3-Day Shakeology Cleanse may be just what you need. -Rid your body of fat. 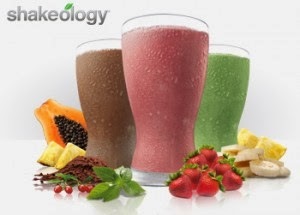 The 3-Day Shakeology Cleanse is a "performance" cleanse, meant to be done in conjunction with your regular exercise schedule & in conjunction with a healthy diet. No wacky drinks of cayenne pepper & lemon juice hear - the 3-Day Shakeology Cleanse is simply a calorie restricted, nutrient-dense cleanse. This is not a "quick fix," but simply a jump-start for your system. While the 3-Day Shakeology Cleanse is designed to work in conjunction with your regular workout schedule, it is best to schedule it for a recovery week if you are doing an intense workout like P90X, TurboFire, or Insanity. Your energy may be a bit decreased during the three days of the cleanse, due to the limited calories you are consuming, so if you feel you are not up to your regular workout, keep moving by doing some yoga or walking during your cleanse days. So are you ready to lose between 3-10 lbs., get rid of extra bloating, and have your system feel refreshed? Then you just may be ready to give the 3-Day Shakeology cleanse a shot. 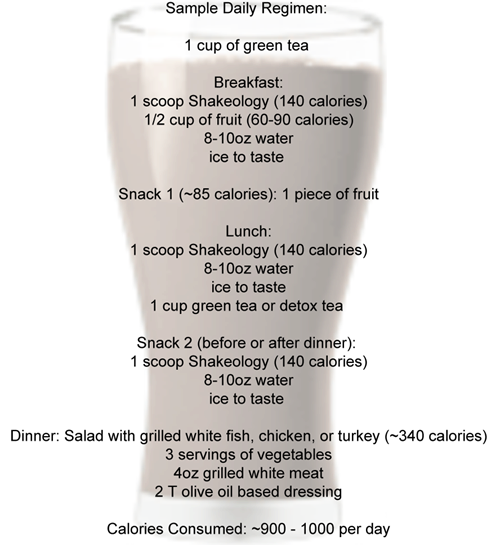 Click here for my favorite Shakeology recipes! Check out my favorite Clean Eating Recipes here!